I received a Kindle edition in exchange for my honest review. You know how every once in a while you come across one of those book that you just can’t put down? Well I guarantee you that this is one of those books. This is the first book in a seven book series about a group of kids with “electrifying powers”, literally. I loved the way that the author took a kid with Tourette’s Syndrome, who was constantly bullied, and gave him another set of problems. I liked the fact that it showed what bullies truly were underneath. The author has several themes running throughout the story, the love of family and friends, loyalty, good versus evil. He has even thrown in a little bit of romance. In this story the underdog finds a way to rise above. The characters in this story show what it is like to follow your conscience for good or evil. The consequences for doing both are laid out for the reader. The reader is forced into a position of asking themselves what they would do in a situation like that. This is such an awesome book that I am afraid that Michael Vey will keep us waiting for the next, and the next…. This is good and clean for everyone from the middle school age kid and up. For those who don’t usually read young adult novels I believe they will find this thrilling enough to hold their attention. I am definitely putting this down as a book I must have on my shelves at school and one that I need to recommend to everyone I know. 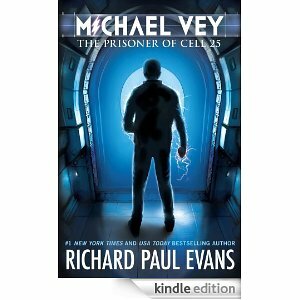 Want to know more about Michael Vey and his other books? Go to his website and check it out.